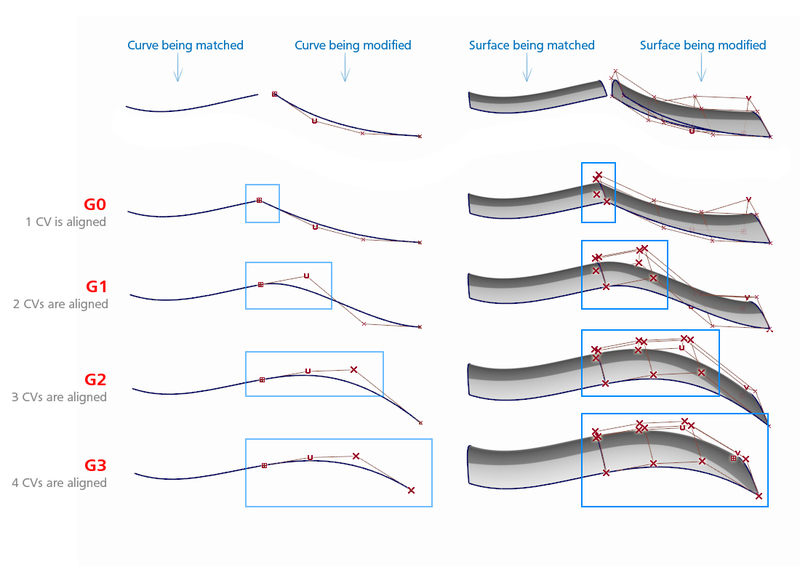 Continuity is achieved by controlling the CVs at the edge of the aligned curve or surface. A higher continuity level requires more CVs to be aligned. 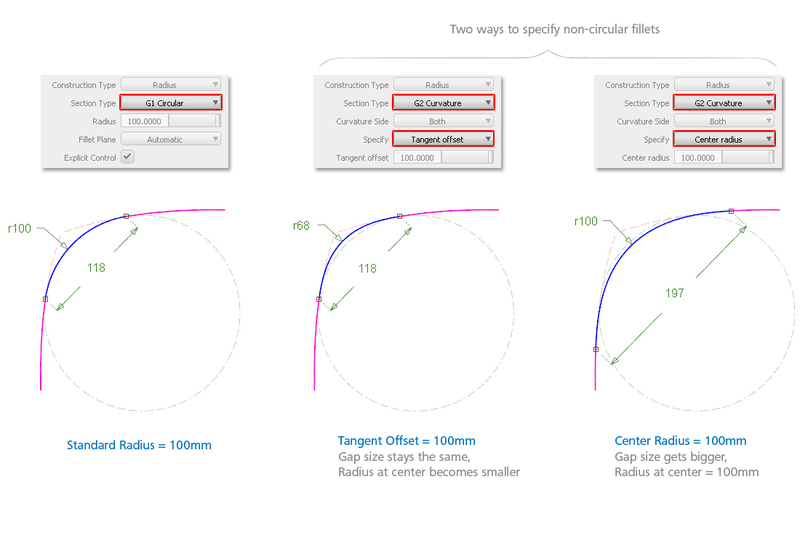 A circular (G1) fillet is specified simply by a radius value. 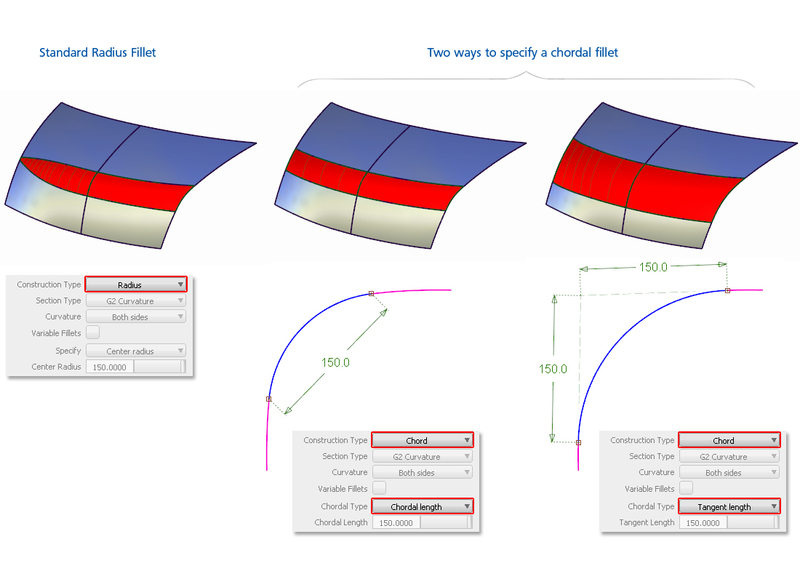 But because G2 and G3 fillets aren't circular, then they need a different way of specifying their size. 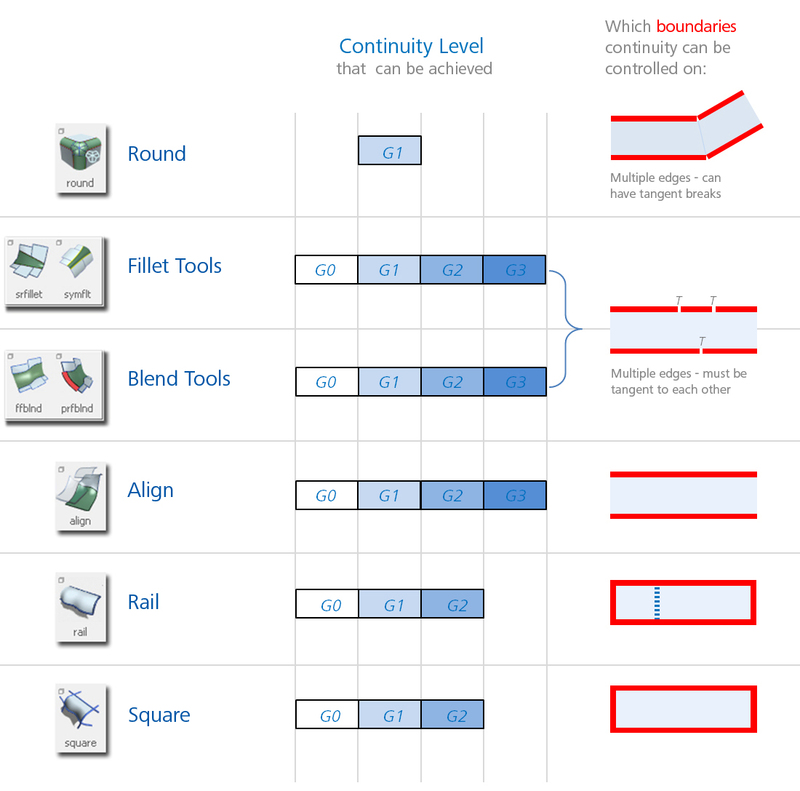 The main determinant of shape is the continuity level chosen (G1, G2 etc. ), but there is some flexibility within that provided by the Form Factor. This controls the concentration of CVs towards or away from the centre of the blend, making the curve sharper or flatter. Two natural (untrimmed) surface edges to be aligned. 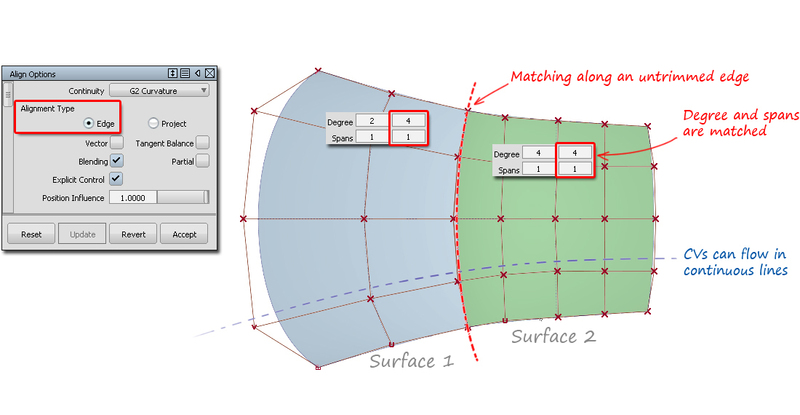 The surfaces have the same degree and spans in the direction of the joint edge. Aligning to a trimmed edge. When using the Object Edit → Align tool, the options should be set to : Alignment Type : Project. Other tools like Bi-Rail, Square and Freeform Blend will work in non-co-linear situations, but typically produce heavier surfaces with more spans, which may be unevenly spaced. Continuity is calculated to a certain tolerance or accuracy. This can be set in the Construction options window and are usually chosen to match the CAD system you expect to be exporting your data to.